San Francisco – just the name alone conjures up amazing images of unique, beautiful landscapes in this one-of-a-kind city. It is on everyone’s list of must-see travel destinations. 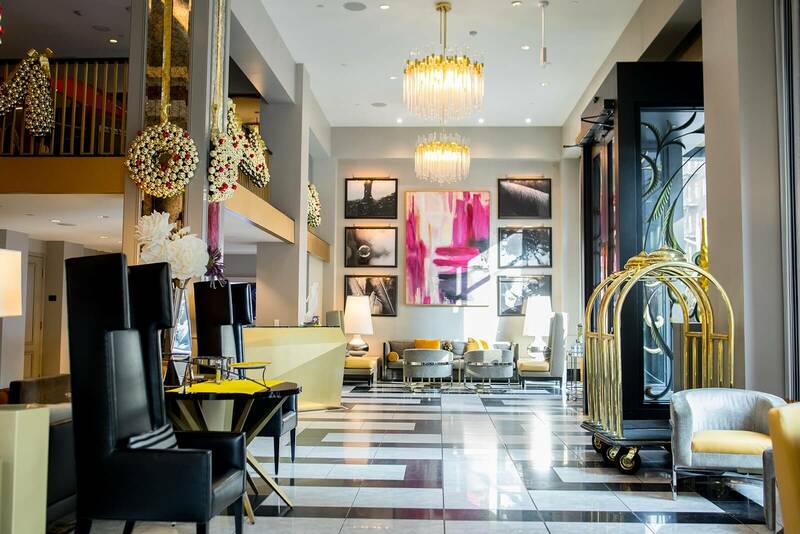 With so many great areas in the City by the Bay, where should one stay for a visit? 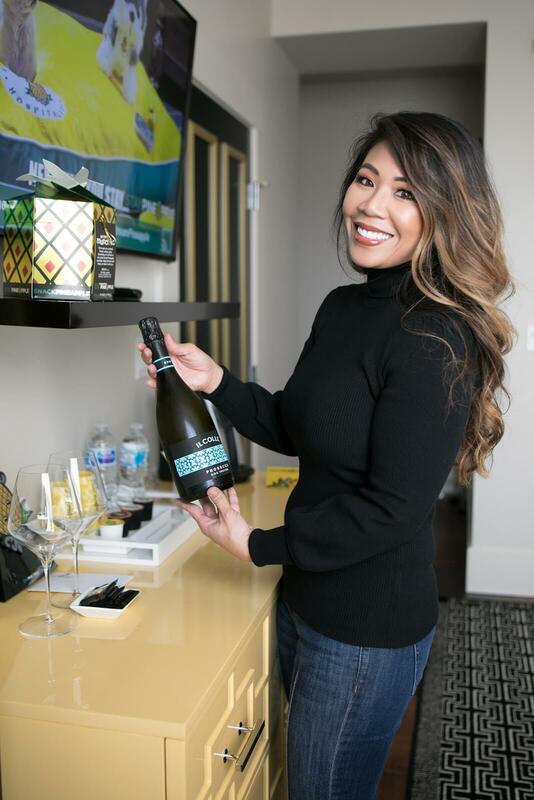 Book your stay at the Staypineapple San Francisco! 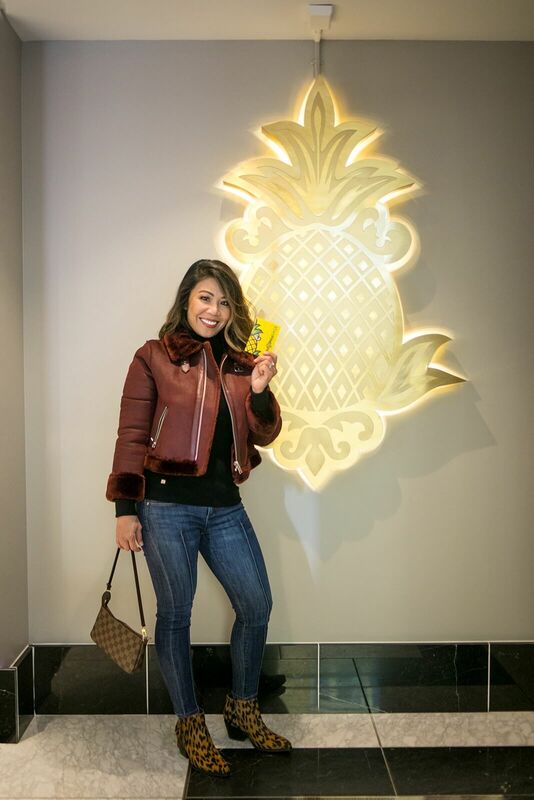 This is a sponsored post with the Staypineapple San Francisco where I received a complimentary stay. I do not earn commission from any bookings or affiliate sales. As always, my reviews remain honest, and all opinions are my own. 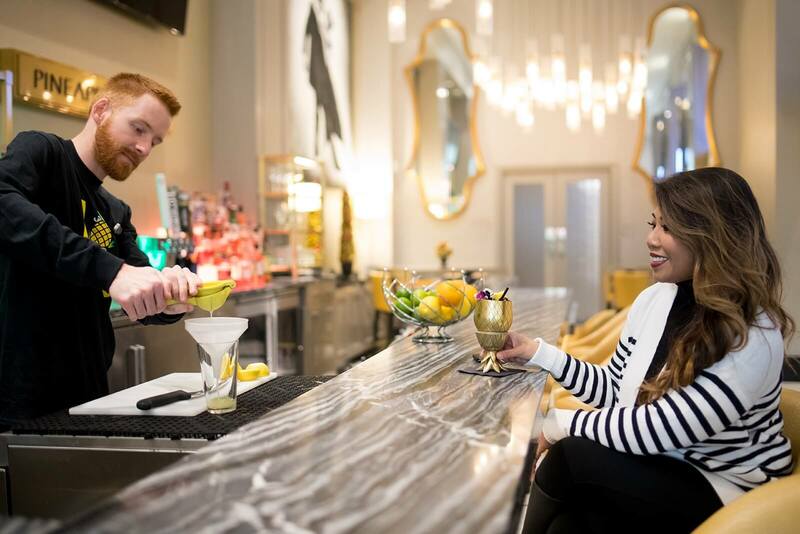 The Staypineapple San Francisco, An Elegant Hotel (formerly The Alise San Francisco) is a beautiful boutique hotel conveniently located close to Union Square, Theater District, Nob Hill and more! 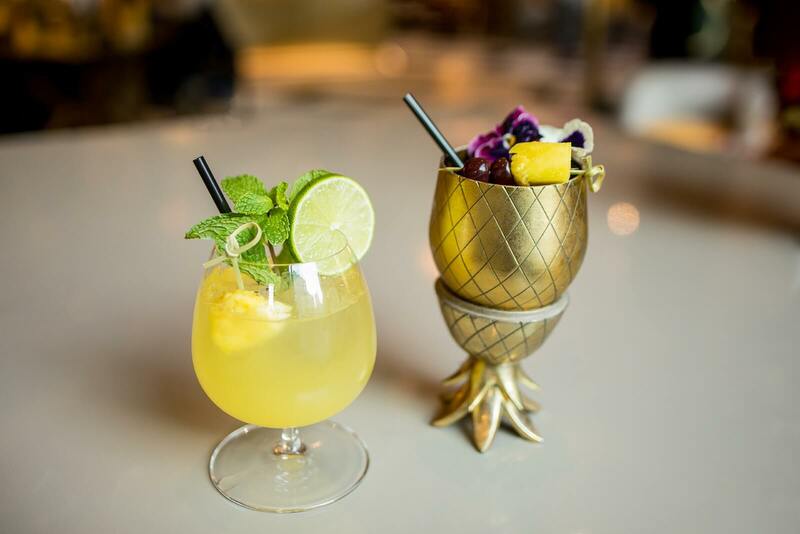 It is part of the Pineapple Hospitality group, whose headquarters is in Bellevue, Washington. 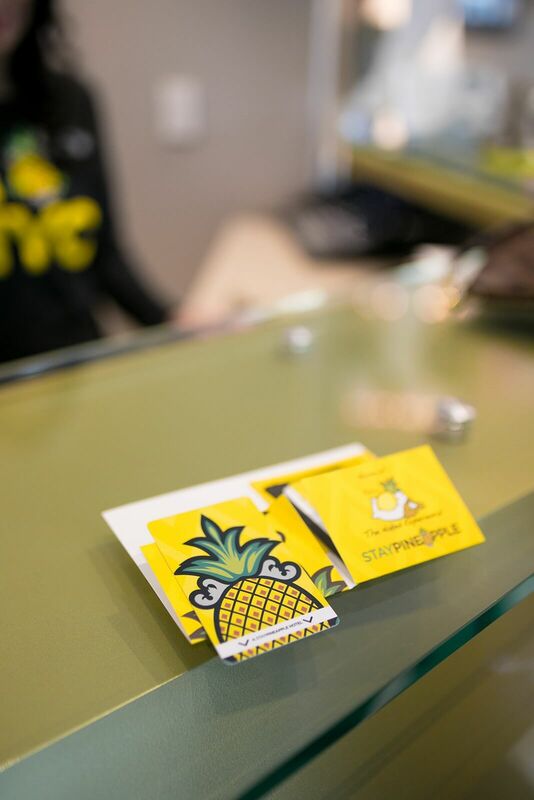 The Staypineapple (aptly named after the pineapple as the symbol of hospitality) carries the pineapple theme throughout the hotel – key card, wall logo, pillows, robes, and slippers. 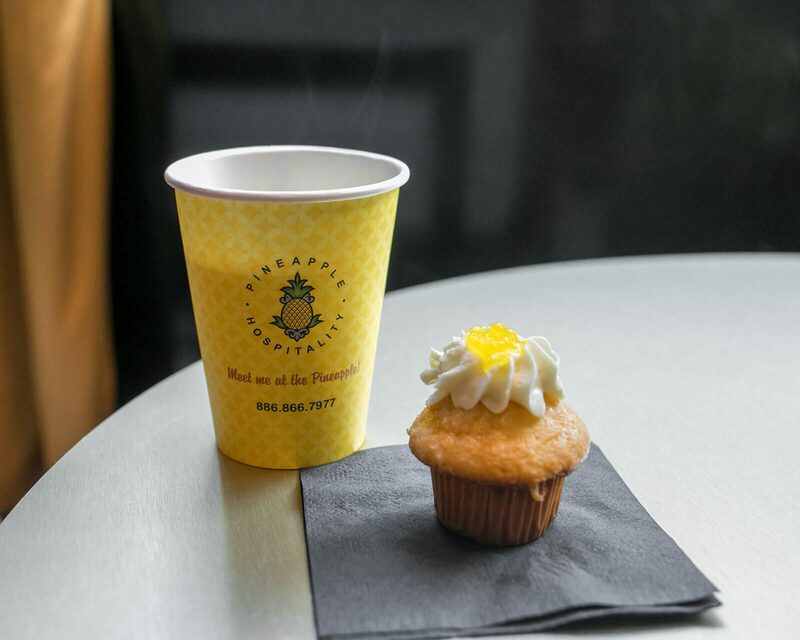 Even the water and cupcakes have the taste of pineapples! A historic 1913 building, the Staypineapple San Francisco has been updated for a more modern sophisticated look and has a total of 93 rooms. 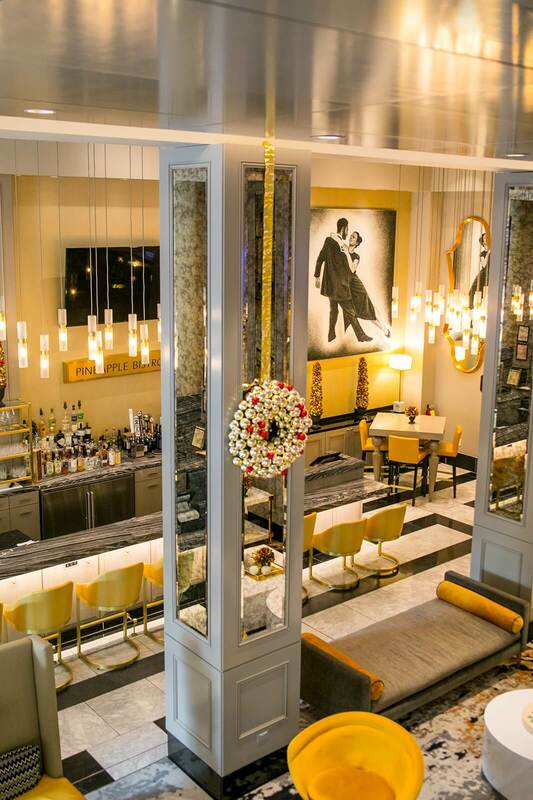 As soon as you enter the high-ceiling lobby, you know you are in an extraordinary place. The high ceilings, marble flooring, the bright colors, and sparkling lighting, as well as the multiscreen display overhead of a panoramic view of the city, are captivating. 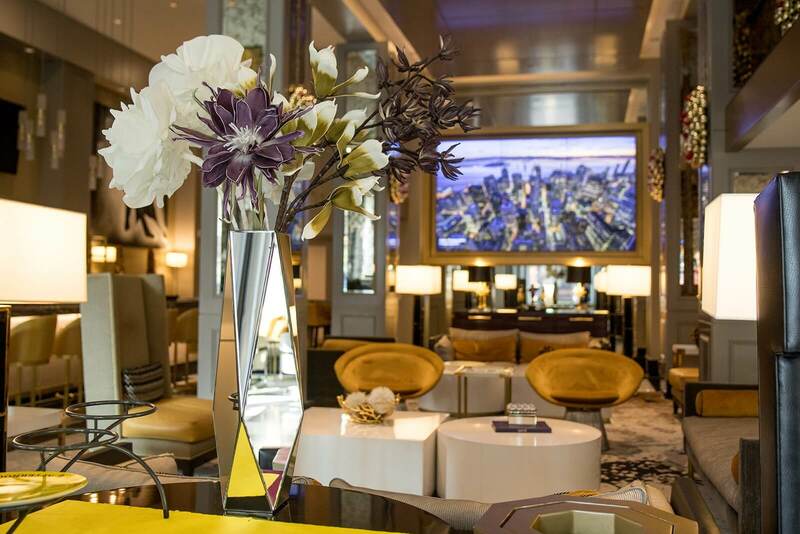 The fine art displayed throughout the hotel is an extensive collection of commissioned works. 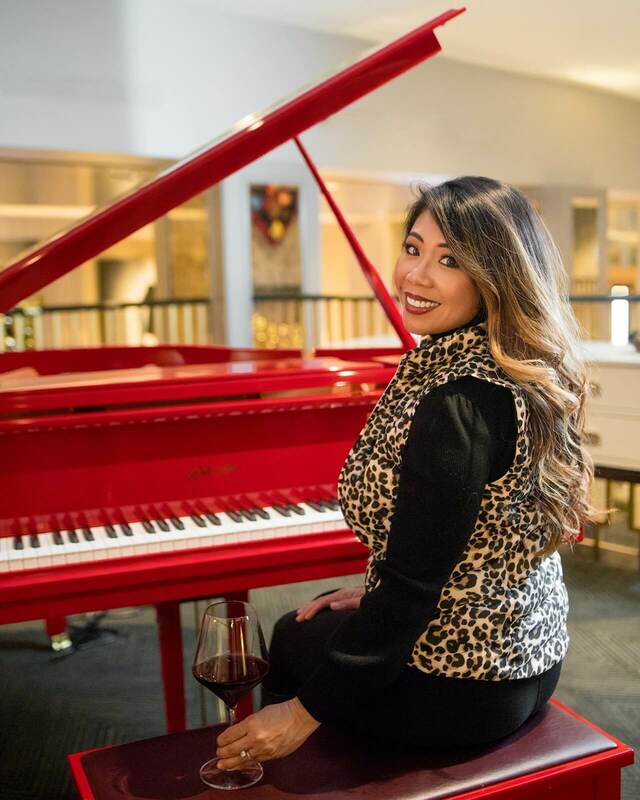 A candy apple red grand piano is also on site (located on the 2nd-floor mezzanine) and is available to anyone who wants to tickle those ivories. The warm welcome is a great way to start your stay. 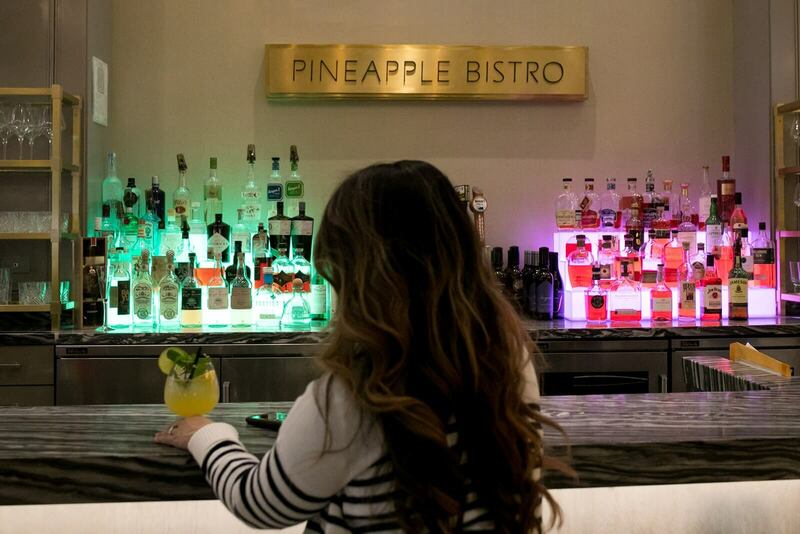 The lobby has the Pineapple Bistro and Bar, an area where you can interact with the bartender to create that special concoction, all with excellent service! They serve savory treats for breakfast and lunch, but also offer a platter of cheese and meats to go along with that exquisite California wine. The hotel also offers an afternoon delight which includes complimentary coffee and cupcakes, something to hold you over until dinner. At Staypineapple, the feel-good atmosphere continues as you enter the bedroom. The 155 sq. ft room was spotless and made good use of the space. From a comfortable king size bed complete with luxurious European-style bedding (with two individual folded duvets), terry-cloth bathrobes (slippers are complimentary upon request), small table and chairs, iPod docking station, and large flat panel TV, you have the right ingredients for a comfortable stay. The sizeable open shower is a nice start and finish to your busy day. They carry Tommy Bahama hair and body products. Union Square is a great location known for its fabulous shopping, great restaurants, and being a transportation hub (BART trains, Muni buses, and of course, cable cars – uniquely identified worldwide with San Francisco), is a smart place to anchor your visit to get around to other areas easily. Union Square is about a five-minute walk from the Staypineapple San Francisco and has most (if not all) of your favorite stores! Stroll around the plaza, and you’ll find fast food and flower vendors along the streets. 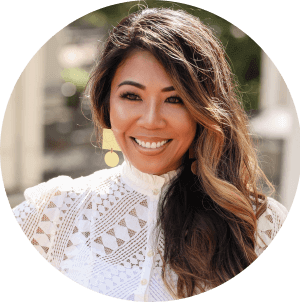 Check out the stores on Maiden Lane where you’ll discover all your high-end, luxury retailers like Chanel, All Saints, and Christian Louboutin. Alternatively, Westfield is an indoor shopping mall and is about a 15-minute walk from the hotel. You are only a few blocks away from many outstanding choices spanning the spectrum of culinary offerings. For breakfast, head over to Dottie’s True Blue Café for a tasty meal! You can’t go wrong with The Southwestern omelet and a cup of freshly squeezed orange juice! This well-rated establishment is so popular, the wait to get in can be long. Be there as soon as they open, and you may be able to get a seat quickly. The portions are pretty generous, so you may consider sharing a plate if you’re with someone. Lunch was delicious at Kin Khao Thai Eatery! Within walking distance of the hotel, this restaurant is worthy of its fabulous rating and serves the freshest ingredients. The Khao Soi is a favorite (chicken curry broth with egg noodles)! Feeling more adventurous? Use the transportation hub to go to any of the adjoining districts for world-class San Francisco cuisine. Enjoy Gary Danko for that fine-dining experience. 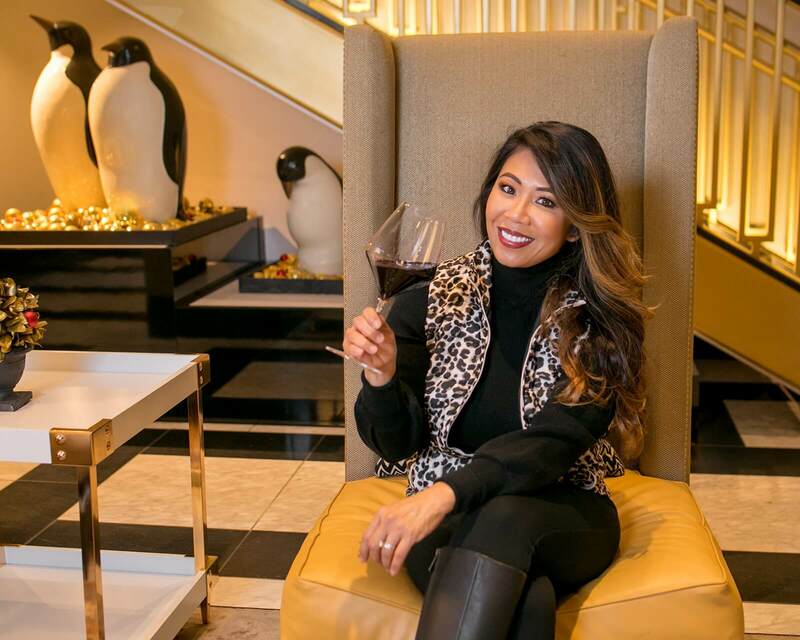 This Michelin-rated restaurant is near Fisherman’s Wharf and is known for its exceptional food, attentive staff, and great ambiance. You’ll have to book in advance as this restaurant is in high demand. Whether a high-end establishment or that local hole in the wall, your taste buds will not be disappointed when visiting this great city! Need a gym? While the hotel does not have one on site, they offer complimentary passes to a gym located only a few blocks away. They also provide yellow beach cruisers, if you prefer getting around the city that way (how about that as your workout!). Each bicycle comes with a helmet and lock, so you are protected at all times! Interested in seeing the Golden Gate Bridge? According to Staypineapple’s blog post, Google estimates an approximate ride time (from the hotel to the bridge) of 32 minutes. You will definitely enjoy that scenic ride! 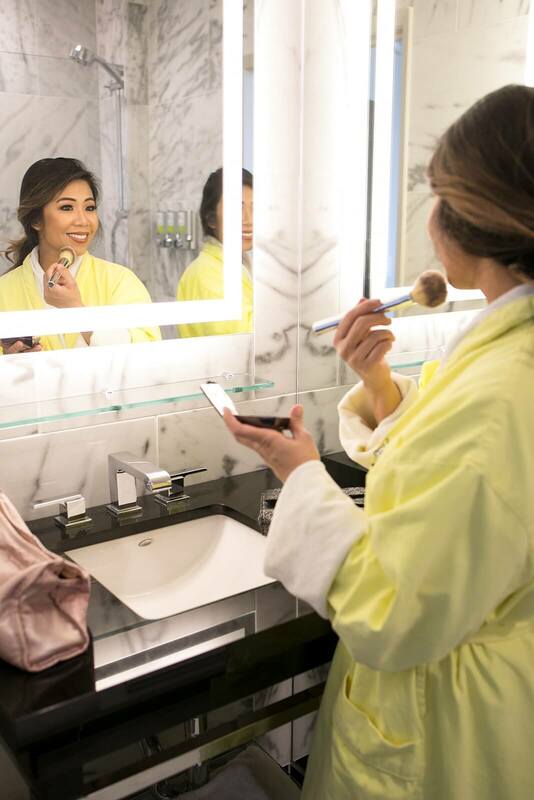 If you are looking for a great stay, in the right location, with the service you deserve, the Staypineapple San Francisco, An Elegant Hotel is a perfect choice! The address is 580 Geary Street, San Francisco, 94102, California, United States. 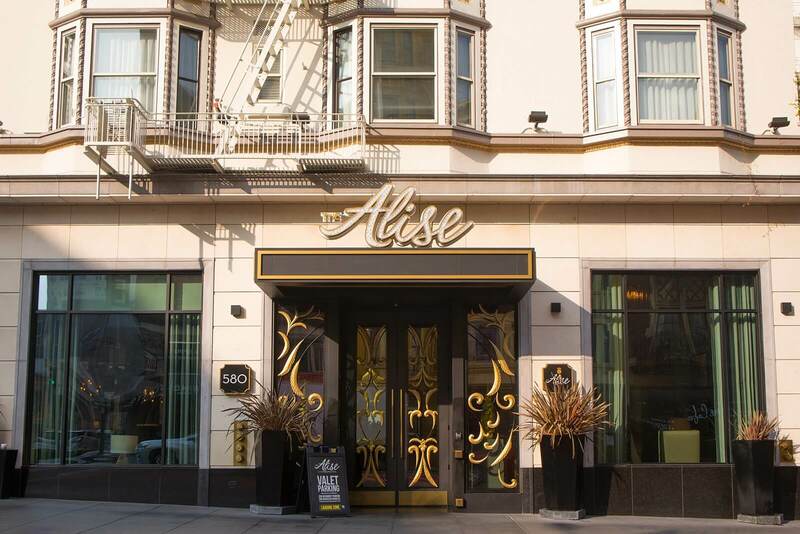 Book your stay by going online or calling them at (415) 441-2700. You made me want to visit that hotel and enjoy sitting at the bar and having that special drink. This is the kinda place I would love to spend time in relaxing and recharging. If you do get a chance, you’ll love it! The bartender made the bar experience fun! It’s walkable to Union Square too so that makes it even a great location!